Motorcycle Accidents Are On The Rise | Jardine Law Office, P.C. 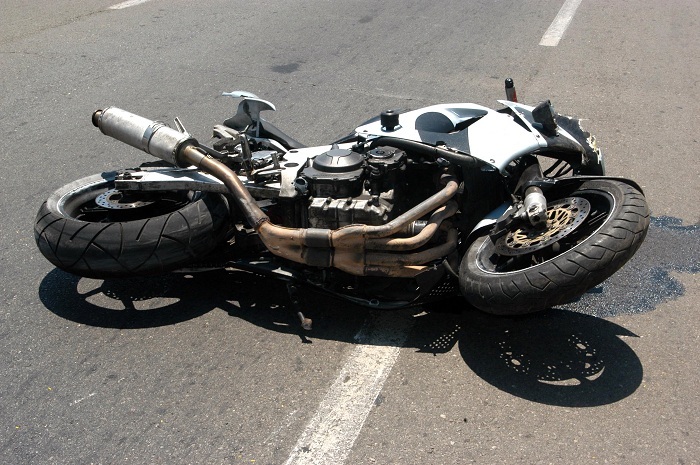 Consult a Salt Lake City Motorcycle Accident Attorney Joseph Jardine at Jardine Law Office, P.C. is on the riders side. There are so many reasons why a person may get hit by a car, but the one thing you don't need to worry about is getting the financial means necessary to help with medical bills or, heaven forbid funeral costs. Utah is a beautiful state with long roads that make you want to get on your bike and ride. Those who own motorcycles get it. Riding a wide open road on your motorcycle is like heaven on earth. People who ride know that whenever you get on your bike you’ve got to respect yourself, others, and the road. Motorcycles are special kind of vehicle that only certain people can ride. It is a vehicle where the riders are taking the extra risk because they are not only exposed to the weather elements, but they are also exposed to drivers in regular vehicles who are not paying attention. In 2017, Utah saw around 40 deaths within a year for motorcyclists. These deaths happened for a myriad of reasons. The most common reasons are cars making left-hand turns. These account for 42% of accidents. Now, you may think well the accidents can’t result in too much disaster since the car was stopped and then drove. Surely they couldn’t be going more than 20 mph. The motorcycle, however, could have been going at a higher speed. Also, motorcycles are so small in comparison to cars. It is like the opposite of David and Goliath. When Goliath hits David, he kills him. He kills him because he is just logistically bigger and when you get hit by bigger things the less likely you are going to survive or not get hurt. Other reasons why motorcycles get hit are from cars crossing intersections, cars trying to pass or overtake. Unfortunately, not everyone plays nicely on the road. Some drivers are overly defensive and turn aggressive. Even motorcyclists turn aggressive. Again, the problem is when a car hits a motorcycle the likelihood of something bad happening is greatly increased. Imagine if a motorcyclist hits a truck? This is the case for a couple who were riding their motorcycle in the morning when they were struck by a truck. They were survived by four kids. This couple did not wake up one morning and decide that this was going to be their last ride yet this is what happened. You can never be too sure what is going to happen in your life, but you can be sure that if you are injured or someone you love was killed in a motorcycle accident then you have options. Our Motorcycle Accident Attorneys at Jardine Law Offices in Salt Lake City are on the riders side. There are so many reasons why a person may get hit by a car, but the one thing you don’t need to worry about is getting the financial means necessary to help with medical bills or, heaven forbid funeral costs. Don’t let the insurance companies bully you for not wearing certain gear or taking certain classes. Your choice to drive a riskier vehicle should not be the reason why you are not financially compensated for your injuries. Call 801-350-3506 or click here to speak with our experienced attorneys at the Jardine Law Offices in Salt Lake City today.